Hope House clients continue to experience the generosity of so many generous people who contribute so generously. All our units are full and we have a burn case which was very severe and is improving very fast under the efficient wound care and pain management of our nursing staff. 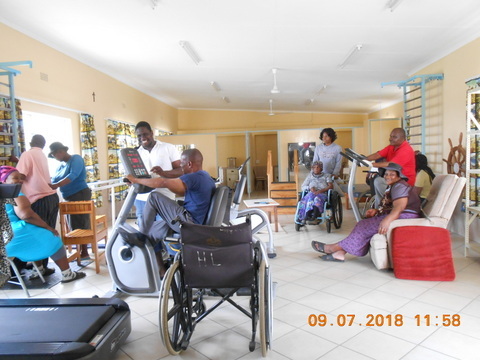 We have a volunteer as well as a part time physiotherapist, who is excellent and the clients are benefiting a lot, many clients were able to walk back home, particularly the clients with stroke, especially associated with HIV/AIDS. A balanced diet with the vegetables from our garden as well as the generosity of so many people contribute a speedy recovery to our clients. 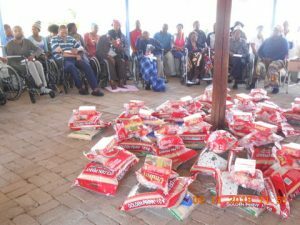 Bible society donated Bibles and food items to all the clients and staff; it was sponsored by a Canadian Couple Dave& ABBY Dever from a society call Bible for the poor society. They prayed with the clients, minders and staff. This article reports results from the STAMP trial, which was a pragmatic, multicenter, double-blind, randomized controlled trial that assessed the impact of urine-based tuberculosis (TB) screening on mortality among HIV-positive inpatients. 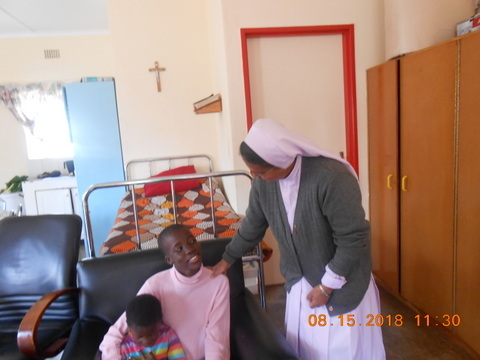 All eligible, HIV-positive patients admitted to medical wards in two hospitals in South Africa and Malawi were randomized to either the intervention screening group or the standard-of-care group, irrespective of clinical signs or symptoms. In both groups, sputum was tested using Xpert MTB/RIF, and in the intervention group urine was tested using lipoarabinomannan (LAM) and Xpert MTB/RIF assays. Clinical care was provided by clinicians who were blinded to group allocation, and only informed that TB screening tests were positive, negative, or not done. After 56 days, no significant difference was found in all-cause mortality between the two groups, but mortality was significantly reduced in the intervention group among pre-specified subgroups including those with advanced HIV disease, severe anemia, or clinically suspected TB on admission. Urine-based TB screening also significantly increased the number of participants diagnosed with TB, with urine LAM assays providing the highest diagnostic yield. These results suggest that the expanded use of urine LAM assays for TB screening in inpatient settings could reduce mortality among high-risk groups, as well as reduce morbidity and onward transmission resulting from missed TB diagnoses.